"We use the standard version of Repeat Signage, providing our clients with the opportunity to learn about our offers". Greek tourist company. The Repeat Software team gives you outstanding support with free training videos and email support and has satisfied customers in 31 countries. "We use the standard version of Repeat Signage, providing our clients an opportunity to learn about our offers". Foritos is an Internet and Information spot in a small Greek touristic island called Amorgos. In antiquity Amorgos was one of the first places from which the Ionians passed onto the Greek mainland. 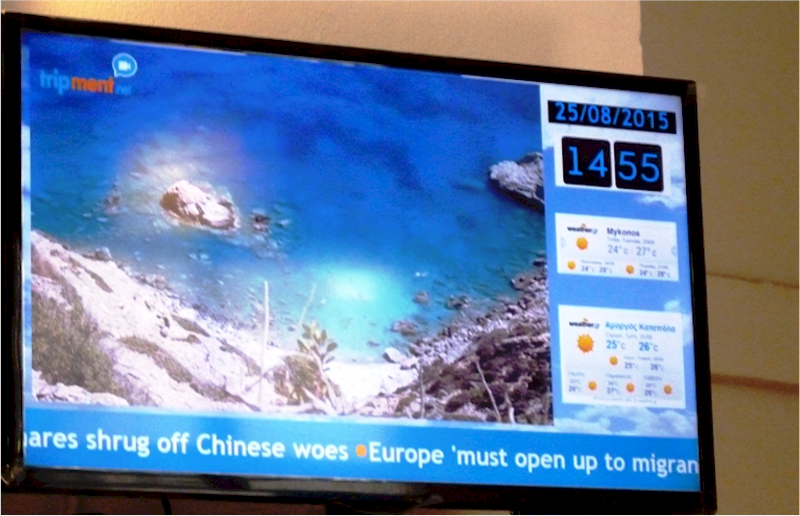 "We use the standard version of Repeat Signage, providing our clients with the opportunity to learn about our offers through .ppt slide shows, get information about the weather through frames, and also watch a travel guide video with the sights of the island". Repeat Signage digital signage software helps you get your message across to promote your product or service. It is easy to use and you can create a presentation and have it playing in minutes. 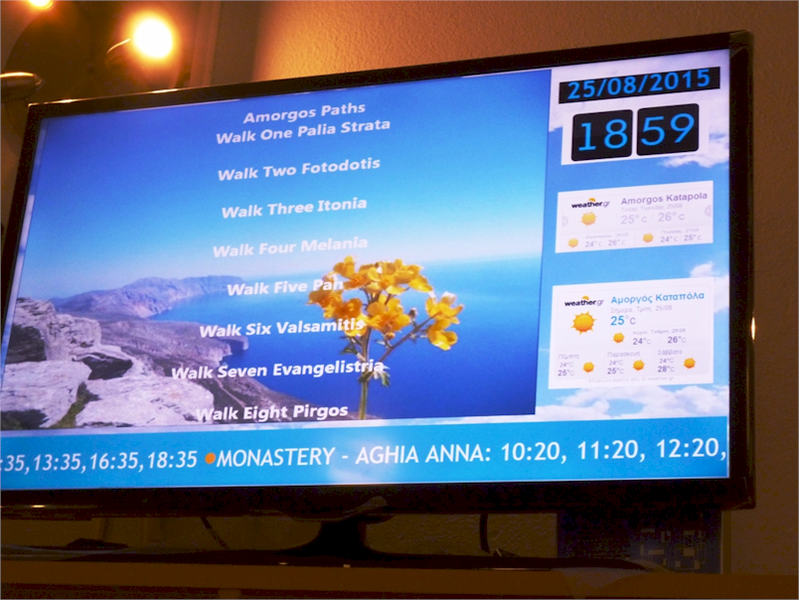 You just need a Windows based PC, a large display screen and Repeat Signage. Features include touch screen support, remote updating and scheduling of presentations, and it supports Windows 10, 8/8.1, 7, Vista and XP.